Save valuable desk space and position your monitor in a more comfortable viewing position. Constructed of high-grade steel, this monitor desk mount for up to 32” monitors makes it easy to suspend your display above your desk or other work surface. Clear up your desk surface while creating an ergonomic workspace. 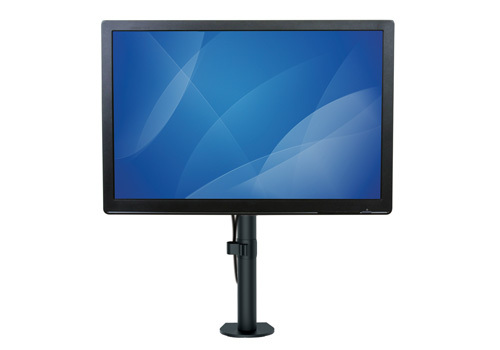 This simple yet rugged monitor mount supports displays 13” to 32” (330 to 813 mm) in size and 17.6 lb. (8 kg) in weight. 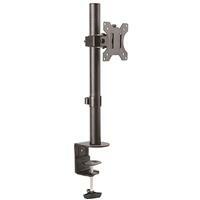 Easily rotate, tilt and swivel, to adjust your screen position and find the perfect viewing angle. You can also adjust the height of your monitor along the vertical pole to a maximum height of 17.4” (443 mm) to your desired position, to reduce neck and eye strain. 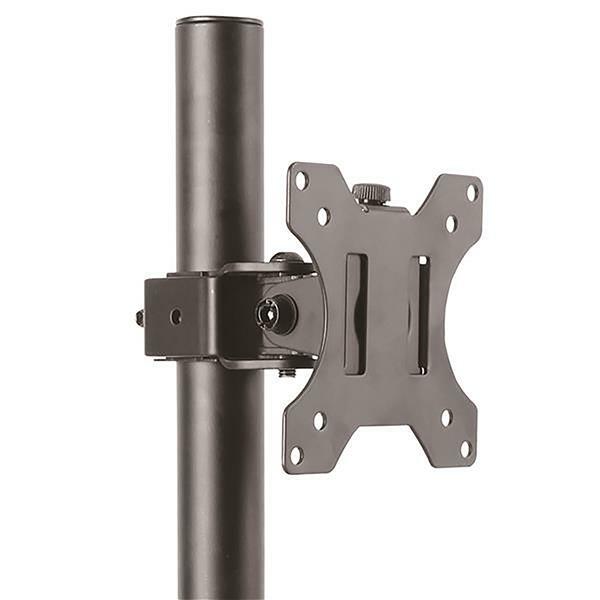 The heavy-duty steel mount is built for long-lasting performance. The surface finish features a powder coating to help resist scratches. 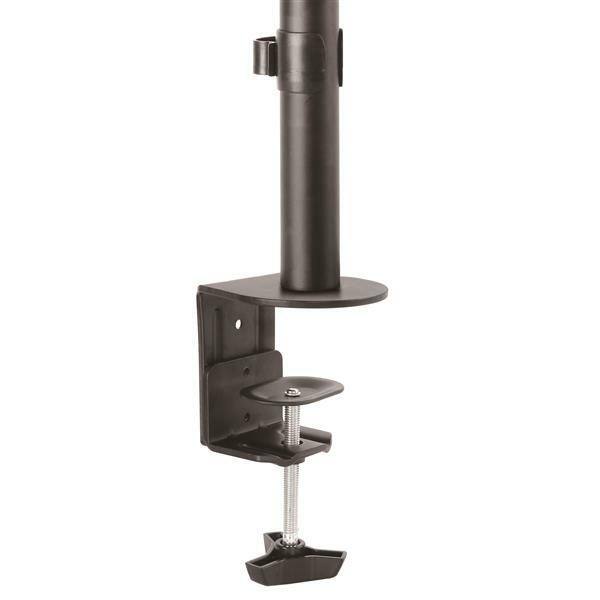 The monitor desk mount makes it easy to mount a VESA mount compatible display above your desk, table or other surface, using the included C-clamp or grommet mount. 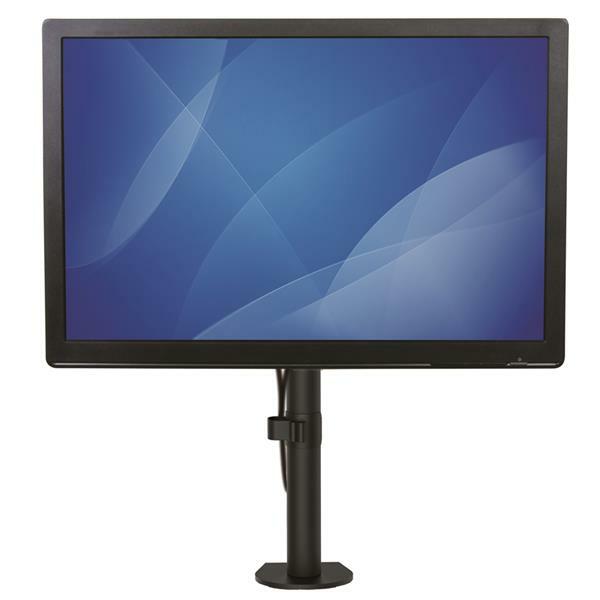 A detachable VESA panel enables simple attachment of your monitor, then you just slide your monitor onto the mount. To help keep your work area free of clutter, the monitor mount also features cable clips that keep your cables neatly out of sight. 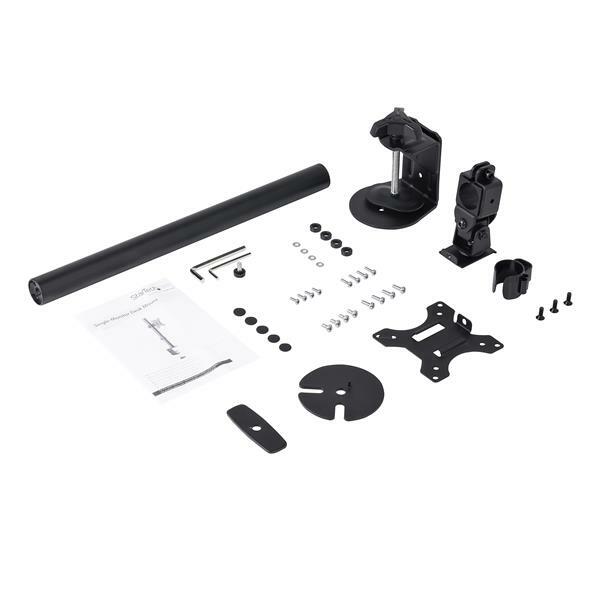 The ARMPIVOTV2 is backed by a StarTech.com 5-year warranty and free lifetime technical support.